Whether you are a student in a clinical preceptorship, or precepting in a new position, there are unwritten rules of “etiquette” in place when working with a nursing preceptor. Follow these tips for a more positive and enriching experience. When in doubt, pause and put yourself in the preceptor’s shoes to gain insight into your responses before you respond. Never act like you know everything upfront. Using expressions akin to “Duh” or “I knew that” do not bode well for a positive preceptorship experience. Allow the preceptor to do his or her job which is to teach you what you need to know. Until he/she assesses your skill and knowledge abilities, he/she may train you at a level below what you think you deserve. Let him/her make the adjustment based on your demonstrated skills and abilities. Do not act like you are better than his/her training or that he/she is wasting your time! Be a listerner, not a talker. Your preceptor’s job – in addition to his or her regular duties – is to train you to excel in performing in your new nursing position. He/she is giving you a wealth of information. Listen to that information and write it down if you have to. Don’t interrupt when the preceptor is talking with pearls of wisdom such as, “That’s not how I did it at my last job.” You will not win points. Listening is an active and interactive experience.Be there for it. Ask lots of questions. Remember, there are no dumb questions – just unasked ones. Your preceptor wants you to clarify issues and asks questions. Don’t save the questions for the day you start working on your own. Question instructions for clarification and further information as needed. You do not look dumb by asking a lot of questions. Your preceptor knows you are listening and are engaged in the process when you ask questions. Allow your preceptor to be your resource. He/she did not just enter the organization as you are doing. A preceptor is chosen by management because of his/her experience in the job position and nursing skills and knowledge. Use this to your advantage and have the preceptor be your resource for everything. You don’t need to limit this resource to on-the-job duties – they even have useful information such as where the closest bathroom is and what time the cafeteria opens. Thank your preceptor at every opportunity. When I was working at a pediatric ER, I remember a co-worker, whose nursing student was not following the above tips say, “Time for my 13 dollar headache.” She was getting paid an extra dollar an hour to be a nursing preceptor. Even with a positive experience, that is not close to payment enough for the extra mile a preceptor goes every day for you. You do not need to shower this person with compliments or gifts – although he/she would likely not mind. But you do need to thank this person, at least once a day, for his/her attention to your needs. Expressing appreciation is still one of the best cost-free gifts a person can extend to another. About the Author: Sue Heacock, RN, MBA, COHN-S is the author of Inspiring the Inspirational: Words of Hope From Nurses to Nurses, a compilation of stories from nurses around the country, with a sprinkling of inspirational quotes. Sue is a Certified Occupational Health Nurse Specialist and has worked in a variety of areas of nursing including pediatrics and research. Before entering the nursing profession, Sue worked in human resources and equal employment opportunity. Click here to read more on Sue Heacock. It is just after midnight, your shift is well underway and there is a long list of patients waiting for your help. Who has time to eat? Besides, it’s hard to find nutritious food at work and you’re trying to cut back, right? Don’t fool yourself—skipping a meal is one of the worst things you can do for yourself, and there aresome healthy options. Nurses usually learn about good nutrition in their undergraduate studies, but the reality of shift work and the hectic pace at the hospital or other health care setting can make it hard to follow even the most common-sense principles. Hospital food service programs haven’t helped much in the past, either. Thankfully, nutrition experts are teaming up with food service managers to make more healthy and tasty choices available for all hospital food patrons—including patients, visitors and staff—and to offer advice to their health care colleagues. “At hospital cafeterias, we’ve really made it a point to develop more nutritious hot entrees, grab-and-go options, salad bars and healthy snacks. When we’re talking about nurses eating healthy, it can be a real challenge because of their schedule,” said Dee Sandquist, MS, RD, spokesperson for the American Dietetic Association and director of nutrition, weight managment and diabetes at Southwest Washington Medical Center in Vancouver, Washington. So, you’re a new nurse. How does it feel? Are you overwhelmed? Starting to become comfortable? Adjusting to the pace? Do your feet hurt? Do you find yourself thinking about your patients or actions you performed even after you are at home?These are all normal reactions to the stress of the first few months of a nursing position. You have transitioned from the role of student to that of professional with serious responsibilities in a short period of time. It’s no surprise that it takes some adjustments.As you grow into your new role, remember that countless others have made this transition—and survived! Nurses, who have passed through those first 90 days, can relate sepcficially to what you are going through and offer real-world advice.“Make sure that your preceptor fits your learning style and ask all questions that come to mind,” advised Lunette Castillo, RN, a new nurse in the adult surgical heart unit at Christ Medical Center, in Oak Lawn, Illinois. “If your preceptor does not fit your learning style/needs, then request another preceptor. 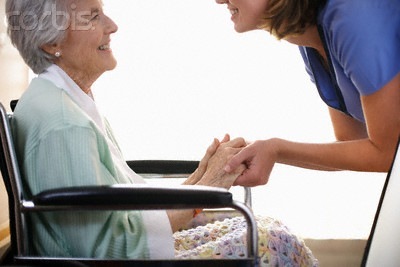 Don’t be afraid to speak up!”Being a team player also helps create a better rapport with experienced nurses. “Remember that small gestures can make big differences, [such as] hanging a courtesy bag of IV fluids, removing IV bag/tubing if the cap was left off, labeling IV tubing, etc.,” said new nurse Juanita Allen, a hematology/oncology nurse at Pennsylvania Hospital, in Philadelphia.“The nurse is the glue that holds patient care together,” added Shelby Wintermute, RN, about what she first noticed as a new cardiac nurse at Licking Memorial Hospital, in Newark, Ohio. “Nothing happens without the nurse. We are the communication link that connects the physicians, pharmacy, RT, PT, and so on to the patients and their care.”Adjusting to your role as patient advocate and communicator takes time and effort, but hopefully, you are also experiencing some of the personal rewards that nursing can bring to you. Realizing you can truly make a difference in a person’s life is rewarding. Just ask Nina Vella, RN, a new ICU nurse at St. Edward Mercy Medical Center, in Fort Smith, Arkansas.“Being a nurse will change your life. It changes your outlook on a lot of things—makes you more passionate about some, thankful for some and just down-right mad about others,” Vella said, adding that the best part of being a nurse is “getting to genuinely make a difference in someone’s life. When a patient tells you ‘thank you for saving my life,’ you can’t help but to be proud. When you get to watch a patient that you didn’t know would live or not walk out of a hospital and know that you are a part of the reason they can live again, you can’t explain the feeling!” Getting it RightEach day you gain new skills and new confidence.